heliosolaire offers solar energy storage kits with Tesla’s Powerwall Lithium batteries to store your energy output from your photovoltaic system. This energy available at all times in your Tesla batteries can lower the electricity bill and save money over the long term. Tesla’s PowerWall energy storage system can be easily installed on the wall or laying on the floor, allowing you to stack multiple storage units to increase your storage capacity, energy generated by your photovoltaic production. 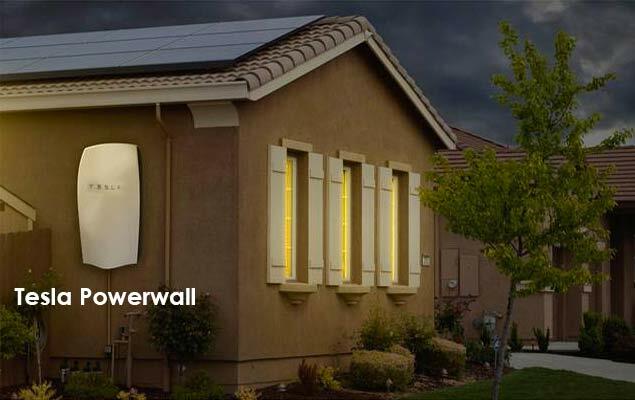 Designed with waterproof, Tesla’s Powerwall energy storage system can be installed both indoors and outdoors. The Tesla application makes it easy to track and manage its energy production of your solar panels from or wherever you are. How does the TESLA energy storage system work? The Tesla Powerwall energy storage system stores your photovoltaic production during the day to restore it when needed in the evening and thus power your home autonomously.Tesla’s Powerwall system allows you to have your solar production and will provide you with an uninterrupted supply of 2kW of electricity at all times. 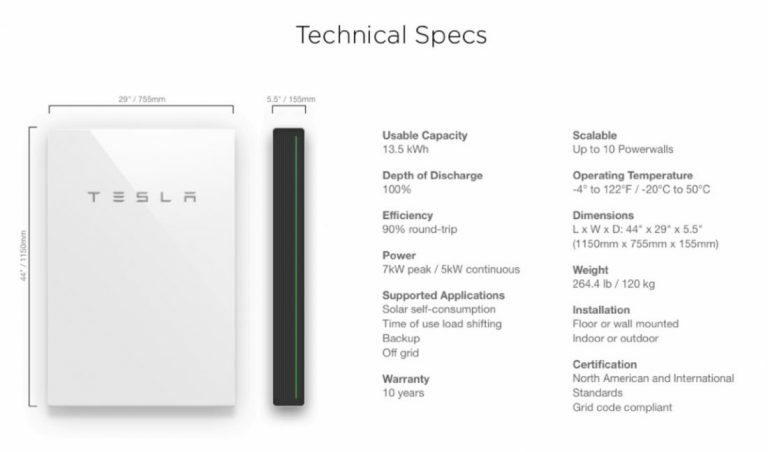 The Tesla Powerwall energy storage system is a completely independent system that requires no maintenance. The system allows a phase shift of the electricity consumption on the network since it is possible to recharge the batteries during the off-peak hours to discharge them during the full hours and thus to ensure an energy autonomy. The capacity of the PowerWall (and the ability to assemble several of them) is sufficient to make a stand alone home by coupling the batteries to photovoltaic panels.